The field of healthcare is rapidly changing and many universities today are offering Master’s in Public Health Degrees in order to respond to a global shortage of qualified public health professionals. The types of careers available for those with graduate degrees in public health are varied, and range from physical and occupational therapy to microbiology, biostatistics, epidemiology, global health researchers and public health policy makers. Public health professionals can find opportunities close to home, working in urban or rural settings in their own local community, or they can influence the health of communities on a national or international scale. When making the decision to pursue a master’s degree, it is important to fully research the programs being considered. An advanced degree is both a time and financial commitment, so prior to embarking on one’s new educational journey, one must be sure that the degree program will be respected and accepted by potential employers. 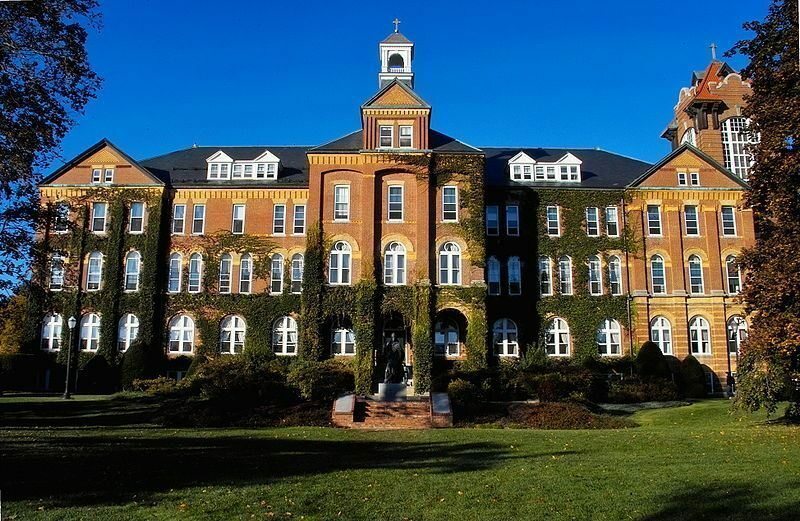 A university that is accredited by a regional accreditation board and is highly rated by one or more well-known ranking systems is more likely to be highly respected by employers. The following 25 schools are some of the best master’s in public health degree programs and they happen to have some of the highest acceptance rates in the country. In order to determine the rankings for the schools on this list, the U.S. News and World Report rankings were consulted. The top 50 programs were chosen from the list of best graduate schools in the field of public health. Next, the graduate school acceptance rates were compiled from Peterson’s list. The schools were then ordered from the lowest acceptance rate to the highest. The following list includes the top 25 best master’s in public heath degree programs that also have the highest acceptance rates. The Drexel University School of Public Health has several public health master’s degree programs. The Master of Public Health (MPH) program includes the following five concentration: community and health prevention, environmental and occupational health, health management and policy, epidemiology and biostatistics. There are also four other master’s degree programs: Master of Public Health, Executive Program (Executive MPH) Philadelphia, Master of Public Health, Executive Program (Executive MPH) Sacramento Graduate Center, Master of Science (MS) in Biostatistics, and Master of Science (MS) in Epidemiology. The University of Washington’s School of Public Health places a strong focus on science, diversity and impact in today’s public health field. The school offers dozens of master’s degree programs in the field of public health. The public health graduate program offers concentrations in biostatistics, public health genetics, environmental medicine, nutritional sciences, maternal and child health, social and behavioral sciences and health metrics, among other areas. The Master of Science degree offers areas of specialization that include toxicology, environmental exposure science, environmental health and genetic epidemiology, along with several other options. There is also a Master of Health Administration and Master of Health Informatics and Health Information Management degree programs. The program boasts several influential alumni, including Michael Phillips, who pioneered suicide research in China, and Sophia Teshome, who works for the US Centers for Disease Control and Prevention in Ethiopia. The School of Public Health and Health Sciences at the University of Massachusetts Amherst emphasizes the concepts of creating positive change, making a difference and transforming lives. The school offers a Masters of Public Health, a Master of Arts and a Master of Science degree in areas relating to public health. The MPH program has concentrations in biostatistics, community health education, epidemiology and nutrition. The nutrition and public health practice programs are offered completely online. The MA program has a concentration in communication disorders, while the MS degree can be earned in the fields of kinesiology, nutrition, biostatistics, health education, epidemiology or environmental health sciences. The School of Public Health at Boston University prides itself on offering significant opportunities to engage in life-changing research at the institution. Classes are based on the latest cutting-edge research in the field and students work hand-in-hand with faculty currently engaged in policy-changing research. The Master in Public Health (MPH) offers eight concentrations: social and behavioral sciences, maternal and child health, international health, health policy and management, health law, epidemiology, environmental health and biostatistics. Students can also earn dual degrees in global health management, health policy, law, medicine and pharmaceuticals. The College of Public Health and Professions at the University of Florida is committed to collaboration and recently established an educational model that integrates public health problem solving and individual patient care. The University of Florida offers a Master of Science in biostatistics and epidemiology, a Master of Arts in communication science, a Master of Health Science, a Master of Health Administration, a Master of Occupational Therapy and a Master of Public Health degree. The accredited graduate public health degree program is available through UF’s distance education program. The Bloomberg School of Public Health at Johns Hopkins University is one of the nation’s premiere schools in public health. This world renowned program offers three research centers: the Center for Refugee and Disaster Response, the Center for Public Health and Human Rights and the Johns Hopkins Center for Global Health. The university offers six master’s programs in the field of public health, including a Master of Health Administration (MHA), a Master of Health Sciences (MHS) and a Master in Public Policy (MPP). The College of Public Health at the University of Georgia is a leader in the field of public health. Students get hands-on experience at the university’s state-of-the-art research centers in the Center for Global Health, the Institute for Evidence-based Health Professions Education, the Georgia Public Health Training Center, the Institute of Gerontology and the Institute for Disaster Management. Public health graduate degree programs are available in the areas of environmental health science, epidemiology and biostatistics, health policy and management, and health promotion. The College of Public Health at Lexington’s University of Kentucky has the goal to revolutionize the future of public health and produce leaders that will make a difference in the public’s health. Three master’s degree programs are offered by UK: Master of Health Administration, Master of Public Health and Master of Science in Clinical Research Design. The Master of Science in Clinical Research Design program is for students who are also pursuing a MD or PharmD and would like to conduct research in the field of public health. 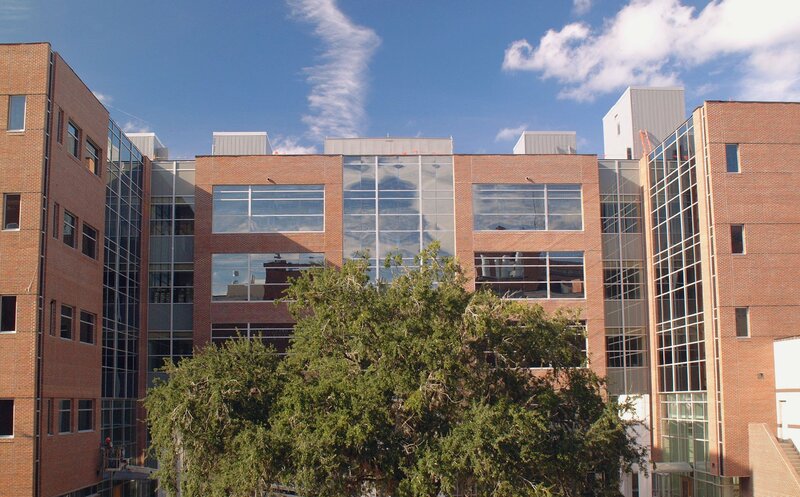 The School of Public Health at the University of Texas offers programs at six regional campuses. The university is home to over a dozen specialized research institutions, including the Center for Infectious Diseases, the Center for Innovation Generation, the Coordinating Center for Clinical Trials and the Michael and Susan Dell Center for Healthy Living. A Master of Public Health (MPH) and a Master of Science in Public Health (MS) are offered, with concentrations in several areas, including biostatistics, epidemiology, health promotion and behavioral sciences, and community health. St. Louis University’s College for Public Health and Social Justice was recently created in an effort to combine the public health, health management, social work, emergency management, criminal justice, criminology and behavior analysis departments. In the public health field, the university offers a Master of Public Health and a Master of Health Administration degree program. There is also an Executive Master of Health Administration Program, which is a blended campus-based and distance learning program where students must attend class on campus one Saturday a month. 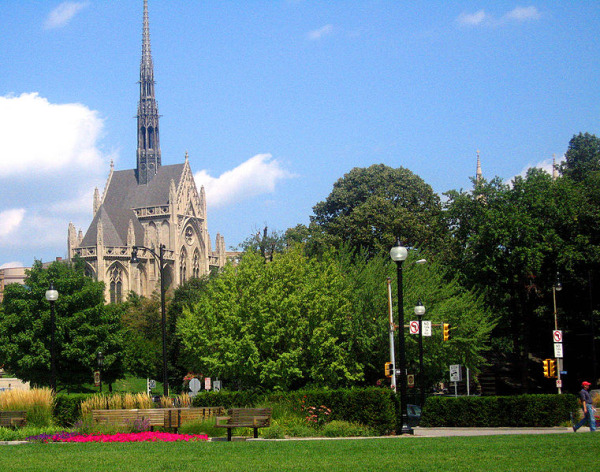 At the University of Pittsburgh, six Master of Public Health degree programs are offered, in areas that include health policy, public health genetics and epidemiology. There are also five Master of Science degrees in areas of public health, including human genetics, infectious diseases and occupational health. The university also prides itself on the quality of its alumni with annual awards and a long list of notable alumni who are making a significant difference in the field of public health. The Mailman School of Public Health at Columbia University is a world leader in public health research. One of their primary studies is HIV research in Manhattan which helps to support their research on antiretroviral treatment in sub-Saharan Africa. The university offers a Master of Public Health (MPH) degree, a Master of Science degrees and over 24 MPH certificates. Areas of concentration include sexual health, molecular epidemiology, infectious disease, geriatrics, climate and health, family health and health policy. The Graduate School of Public Health at San Diego State University is one of only four nationally accredited schools of public health in the state of California. The program emphasizes evidence-based practice rooted in science, public accountability, community needs and interdisciplinary actions. San Diego State offers a Master of Public Health degree with eight choices of concentrations, including Latin American studies, health management, biometry and a special program for MDs who would like to conduct research in the area of public health. The College of Public Health at the University of Oklahoma Health Sciences Center has been influencing the field of public health for over 40 years. The department has several important alliances, including the American Public Health Association, the CDC, the Oklahoma State Department of Health and the Oklahoma Department of Mental Health and Substance Abuse Services. The university offers a Master of Public Health degree program with a choice of 10 specializations; a Master of Health Administration degree; and a Master of Science in biostatistics, epidemiology, health promotion or industrial hygiene. 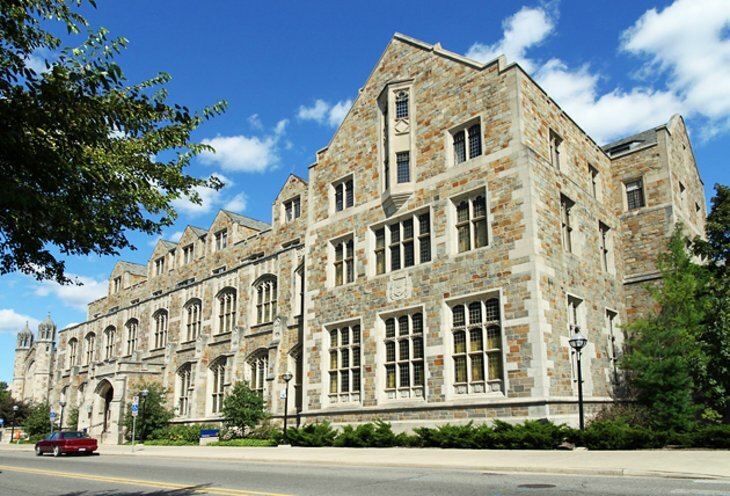 The University of Michigan’s School of Public Health is a national leader in health research. The university hosts dozens of specialized research centers, including in the areas of chronic disease, social epidemiology, sexuality, tobacco research and obesity. Master’s level students can pursue a Master of Public Health (MPH), a Master of Health Services Administration (MHSA), a Master of Science (MS) or a Master of Health Informatics (MHI), in addition to having the opportunity to pursue dual master’s degree programs in the field of law, nursing, business, social work, genetics or medicine. To read more about the Master of Health Informatics at the University of Michigan, read our profile of this program at Top 25 Master’s in Healthcare Informatics Degrees Ranked by Affordability 2014. The University of Illinois at Chicago’s School of Public Health has a strong research focus on urban health and diversity, as well as global health in countries such as Haiti and Fiji. The university offers master’s degrees in community health sciences, environmental and occupational health sciences, epidemiology, biostatistics and health policy. All of these options are available on the university’s campus, and both the health policy and community health sciences programs are also available online. At the University of Arizona, the Mel and Enid Zuckerman College of Public Health attempts to make an impact at the local level, the national level and the global level. They have partnered with the American Lung Association to lead one of the nation’s largest asthma studies in elementary schools. The university offers a Master of Public Health; a Master of Science; and several graduate certificate programs and dual degree programs which include the fields of Mexican American studies, Latin American studies, pharmaceuticals, law and medicine. 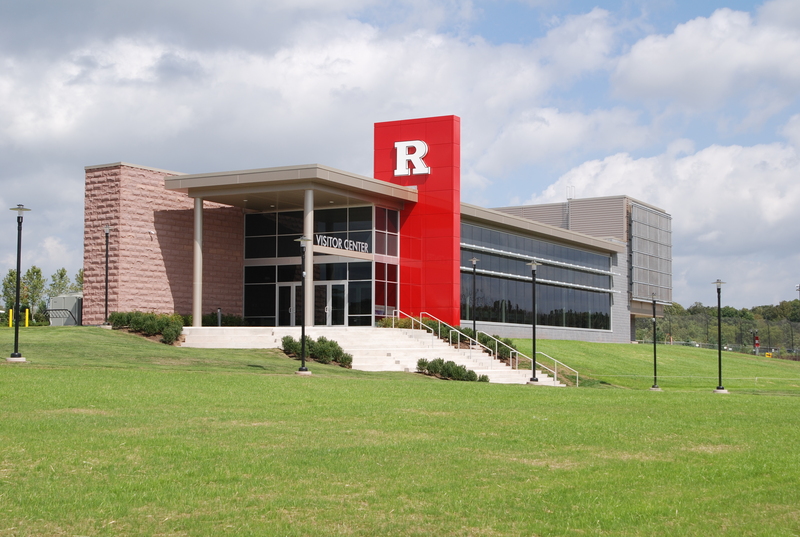 The Rutgers School of Public Health is one of the nation’s leaders in research on urban health administration. The university offers a Master of Public Health, as well as three Master of Science degrees: MS Biostatistics, MS Pharmaceutical Biostatistics and MS Health Outcomes, Policy and Economics. The MSHOPE degree was newly created in 2014 to help meet the growing demand for researchers and health economists in the area of health outcomes and public policy. The Arnold School of Public Health at the University of South Carolina is one of the nation’s leaders on obesity research, recently receiving a major award from the World Obesity Federation. The university offers master’s degrees in several areas, including general public health, physical therapy, physical activity, exercise science. The communication sciences and health services policy programs offered by the university are available online as well. The University of Minnesota’s School of Public Health focuses on four primary areas of public health: biostatistics, epidemiology and community health, health policy and management, and environmental health sciences. Within these departments, a Master of Public Health, a Master of Healthcare Administration and a Master of Science degree are offered. Several of the affordable graduate psychology degree concentrations also either offered online or through a hybrid online and campus-based program. At the University of South Florida, the College of Public Health focuses on unique and meaningful research designed to influence public health on both a local and global scale. One recent study regarding solar sterilization products has earned top honors at a student research competition. The program offers several Master in Public Health concentrations, with the following areas offered as an online MPH: health and safety, infection control, epidemiology, global disaster management, public health administration and public health practice. The School of Public Health at Loma Linda University focuses on preparing students to become health leaders on a local and international scale. Courses are available online, in a traditional classroom and in satellite overseas classrooms. The Master of Public Health in Population Medicine and the MPH in Health Education are available entirely online, while over a dozen public health specializations are available at the Loma Linda University campus, including programs in global maternal and child health, spatial epidemiology, lifestyle medicine and geographic information systems. At Tulane University, the School of Public Health and Tropical Medicine offers a unique program that focuses on tropical and global health. It is one of the top public health school in the world for producing Peace Corps members. The university offers a Master in Public Health program that also allows program participants to study overseas, including the major cities in China and in Africa’s jungles. Students in Tulane’s public health program are offered a unique hands-on global experience that helps to prepare them to be critical thinkers and world public health leaders. 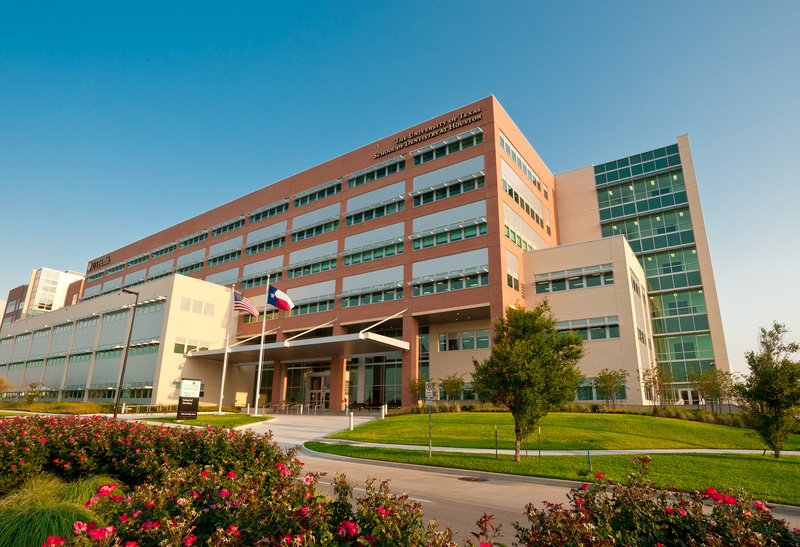 The School of Public Health at Texas A&M Health Science Center has recently added several degree programs in response to a global shortage of public health professionals. One program, the Master of Public Health in Epidemiology, can be completed completely online. The Master of Public Health in Occupational Health and Safety is another new program offering the first admissions in the summer of 2014. The Milken Institute School of Public Health at George Washington University is the only school of Public Health in Washington DC, giving students the opportunity to gain firsthand experience in national and global initiatives, as well as policy-making procedures in the field of public health. GWU offers 14 concentrations in their Master of Public Health program, including a distance learning program. In addition, there are six Master of Science programs, including strength and conditioning, microbiology and emerging infectious diseases, and biostatistics. There are two Master of Health Administration programs, including one hybrid online/classroom program. One Master in Public Policy program is available as a joint degree with George Washington University’s Trachtenberg School. Finally, there are several joint degrees available in the areas of law, medicine, international affairs, corporate compliance and the Pace Corp Masters International Program. The need for qualified professionals in the field of public health is rapidly growing, both in the United States and around the world. Many universities are responding to this demand by offering rigorous, high-quality and state-of-the-art Master’s in Public Health Degree programs designed to train today’s students to be leaders in public health on both a local and global scale.